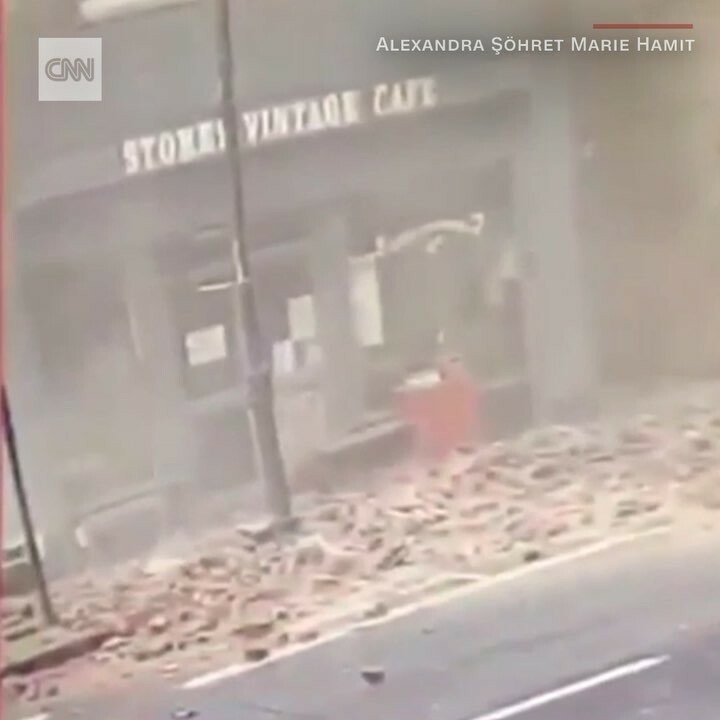 CCTV footage shows the moment a man just barely sidesteps disaster on a street in London, where high winds sent a cascade of bricks hurtling from the top of a building down to the sidewalk. Miraculously, no one was injured, according to a London Fire Brigade spokesman. Parts of southern England experienced winds of up to 70 miles per hour over the weekend, causing trees to fall onto railway lines and scaffolding to collapse.